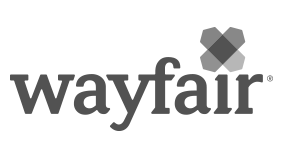 Wayfair’s Software QA team is growing and we are looking to hire a Software QA Manager for one of our expanding/growing teams. You will empower your team to help improve all aspects of our internal tools and systems used to build, populate and manage aspects of operating our e-commerce business. Our methods are collaborative, our group is inclusive, and our minds are exploratory. We encourage skill building, knowledge sharing, and professional growth. Above all: we are dedicated to improving the quality of our products. Recruit, hire and lead a team of software automation engineers. You are eager to “roll up your sleeves” as a player-coach. You are excited at the prospects of seeing the individuals on your team grow and succeed under your guidance and leadership.